HTC Vive Will Debut at $799. The $599 price tag of the consumer Oculus Rift was off putting to many, including myself. It’s not that we expected the technology to be cheap, more that our expectations were set at what we considered a much more reasonable level. I wrote at the time that HTC and Sony would likely rush in with their own VR headsets swiftly afterwards, likely a much lower price point, to take advantage of the Oculus’ more premium status. I was right on one count, HTC has since announced theirs, but at the higher price point of $799. It seems that, at this stage in the game, there’s no way to do VR on the cheap. Whilst the two products are largely comparable in terms of raw specifications, having the same screens for each eye and both providing the same level of “sit down” VR experience. However the Vive pulls ahead of the Oculus in two respects, the first of which being the inclusion of two hand tracking controllers. The current version of the Oculus includes an XboxOne controller with their Touch controllers due out sometime later this year (at a currently undisclosed price). However what really sets the HTC Vive apart from the Oculus is the inclusion of two Lighthouse tracking base stations which allow the Vive to do full body tracking in a 16m² space. These two additions explain the price gap between the two headsets, however it also shows that there’s a floor price when it comes to VR headsets. I had honestly thought that both HTC’s and Sony’s offerings would come in at a cheaper price point than the Oculus however now I’m not so sure. Sony may be able to cut some corners due to the stable hardware platform they’ll be working with (the PS4) however I don’t think that will make it that much cheaper. Indeed looking at the current specs of the PlayStation VR shows that the only real difference at this point is the slightly lower screen resolution (although it does support 120hz, superior to the Oculus and Vive). With that in mind we’d be lucky to see it much, if at all, below the $599 price point that Oculus set last month. So for Oculus debuting at the price point that they chose might not have been the disaster I first thought it would’ve been. Oculus might very well have developed the Model-T of VR that everyone was hoping for, it just ended up costing a lot more than we’d hoped it would. For many though I still feel like this will mean they’ll give the V1.0 VR products a miss, instead waiting for economies of scale to kick in or a new player to enter the market at a cheaper price point. This will hamper the adoption of VR, and by extension titles developed for VR, in the short term. However after a year or two there’s potential for newer models and the secondary market for used headsets to start ramping up, potentially opening up access to customers who had abstained previously. For myself I think I’ll have to wait to be convinced that the investment in a VR headset will be worth it. I bought a Xbox just so I could play Mass Effect when it first came out and, should something of similar calibre find itself on any one of the VR platforms, I can see myself doing the same again. However right now the relatively high price point coupled with the lack of enticing titles or killer apps I’m not really willing to make such an investment in a V1.0 product. I, as always, remain willing to have my opinion changed and, by consequence, my wallet opened. Lytro Immerge: True 3D Video. You’ve likely seen examples of 360º video on YouTube before, those curious little things that allow you to look around the scene as it plays out. Most of these come courtesy of custom rigs that people have created to capture video from all angles, using software to stitch them all together. Others are simply CGI that’s been rendered in the appropriate way to give you the full 360º view. Whilst these are amazing demonstrations of the technology they all share the same fundamental limitation: you’re rooted to the camera. True 3D video, where you’re able to move freely about the scene, is not yet a reality but it will be soon thanks to Lytro’s new camera, the Immerge. That odd UFO looking device is the Immerge, containing hundreds of the lightfield sensors (the things that powered the original Lytro and the Illum) within each of its rings. There’s no change in the underlying technology, the lightfield sensors have the same intensity plus direction sensing capabilities, however these will be the first sensors in Lytro’s range to boast video capture. This, combined with the enormous array of sensors, allows the Immerge to capture all the details of a scene, including geometry and lighting. The resulting video, which needs to be captured and processed on a specially designed server that the camera needs, allows the viewer to move around the scene independently of the camera. Suffice to say that’s a big step up from the 360º video we’re used to seeing today and, I feel, is what 3D video should be. The Immerge poses some rather interesting challenges however, both in terms of content production and its consumption. For starters it’s wildly different from any kind of professional camera currently available, one that doesn’t allow a crew to be anywhere near it whilst its filming (unless they want to be part of the scene). Lytro understands this and has made it remotely operable however that doesn’t detract from the fact that traditional filming techniques simply won’t work with the Immerge. Indeed this kind of camera demands a whole new way of thinking as you’re no longer in charge of where the viewer will be looking, nor where they’ll end up in a scene. Similarly on the consumer end the Immerge relies on the burgeoning consumer VR industry in order to have an effective platform for it to really shine. This isn’t going to be a cinema style experience any time soon, the technology simply isn’t there, instead Immerge videos will likely be viewed by people at home on their Oculus Rifts or similar. There’s definitely a growing interest in this space by consumers, as I’ve detailed in the past, however for a device like the Immerge I’m not sure that’s enough. There’s potentially other possibilities that I’m not thinking of, like shooting on the Immerge and then editing everything down to a regular movie, which might make it more viable but i feel like that would be leaving so much of the Immerge’s potential at the door. Despite all that though the Immerge does look like an impressive piece of kit and it will be able to do things that no other device is currently capable of doing. This pivot towards the professional video market could be the play that makes their struggle in the consumer market all worthwhile. We won’t have to wait long to see it either as Lytro has committed to the Immerge being publicly available in Q1 next year. Whether or not it resonates with the professional content creators and their consumers will be an interesting thing to see as the technology really does have a lot of promise. 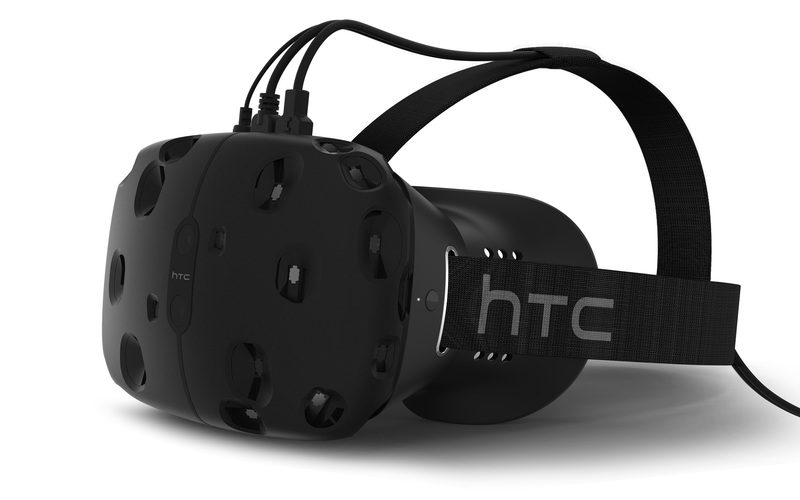 Valve Pairs With HTC for Their VR Headset. It’s strange to think that just over 2 years ago that the idea of VR headsets was still something of a gimmick that was unlikely to take off. Then enter the Oculus Rift Kickstarter which managed to grab almost 10 times the funds it asked for and revamped an industry that really hadn’t seen much action since the late 90s. Whilst consumer level units are still a ways off it’s still shaping up to be an industry with robust competition with numerous competitors vying for the top spot. The latest of which comes to us via HTC who’ve partnered with Valve to deliver their Steam VR platform. Valve partnering with another company for the hardware isn’t surprising as they let go a number of personnel in their hardware section not too long ago although their choice of partner is quite interesting. 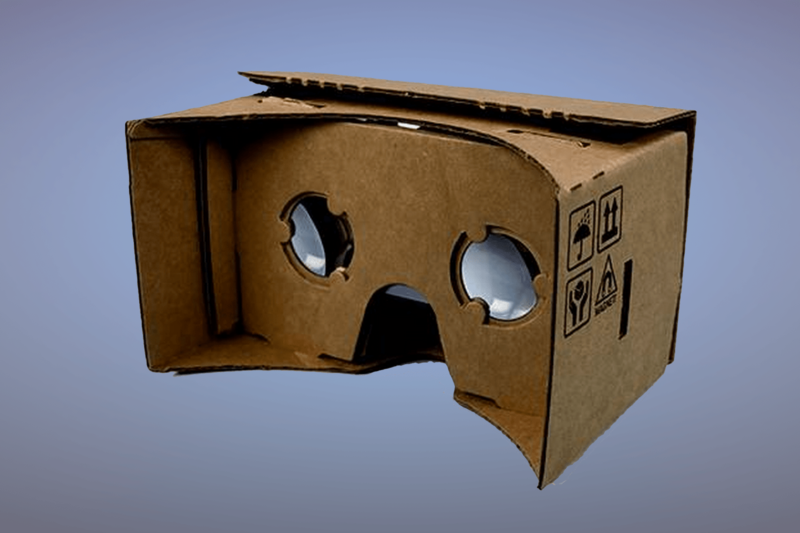 Most of the other consumer electronics giants have already made a play into the VR game: Samsung with Gear VR, Sony with Project Morpheus and Google with their (admittedly limited) Cardboard. So whilst I wouldn’t say that we’ve been waiting for HTC to release something it’s definitely not unexpected that they’d eventually make a play for this space. The fact that they’ve managed to partner with Valve, who already has major buy in with nearly all PC gamers thanks to Steam, is definitely a win for them and judging by the hardware it seems like Valve is pretty happy with the partnership too. The HTC/Valve VR headset has been dubbed the Re Vive and looks pretty similar to the prototypes of the Oculus DK2. The specs are pretty interesting with it sporting 2, 1200 x 1080 screens which are capable of a 90hz refresh rate, well above what your standard computer monitor is capable of. The front is also littered with numerous sensors including your standard gyroscopes, accelerometers and a laser position tracker which all combine together to provide head tracking to 1/10th of a degree. There’s also additional Steam VR base stations which can provide full body tracking as well, allowing you to get up and move around in your environment. There’s also been rumblings of additional “controllers’ that come with the headset although I’ve been unable to find any pictures of them or details on how they work. Supposedly they work to track your hand motions so you can interact with objects within the environment. Taking a wild guess here I think they might be based off something like the MYO as other solutions limit you to small spaces in order to do hand tracking properly whilst the MYO seems to fit more inline with the Re Vive’s idea of full movement tracking within a larger environment. I’ll be interested to see what their actual solution for this is as it has the potential to set Valve and HTC apart from everyone else who’s still yet to come up with a solution. Suffice to say this piece of HTC kit has seen quite a bit of development work thrown into it, more than I think anyone had expected when this announcement was first made. It’ll be hard to judge the platform before anyone can get their hands on it as with all things VR you really don’t know what you’re getting yourself into until you give it a go. The pressure really is now on to be the first to market a consumer level solution that works seamlessly with games that support VR as all these prototypes and dev kits are great but we’re still lacking that one implementation that really sells the idea. HTC and Valve are well positioned to do that but so is nearly everyone else. 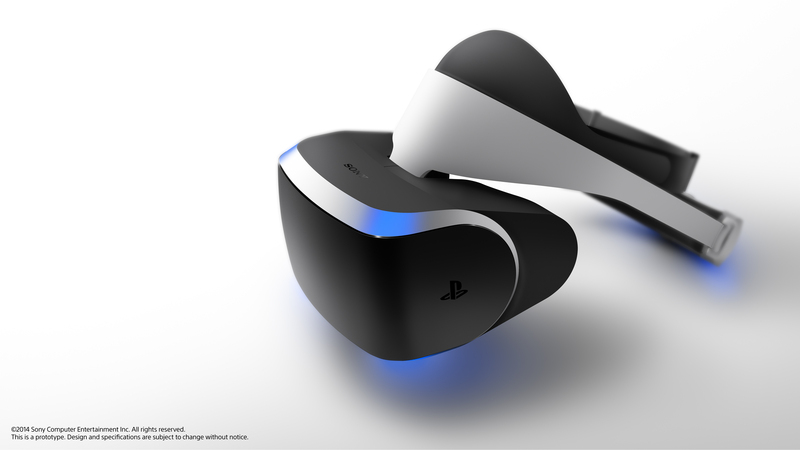 Sony’s New VR Headset and the Peripheral Conundrum. Ever since the Nintendo Wii was released back in 2006 there seems to have been a resurgence in non-standard peripherals for consoles although most are simply motion based controllers in a fancy case. The issue with non-standard hardware was, and still is, that game developers can’t rely on a consumer having it and thus many choose to simply not use them. It’s for this (and other) reasons that Donkey Kong 64 had to include the Expansion Pak as their game was inoperable without it and its distribution in the market place could not be relied on. However it seems that manufacturing costs have become cheap enough to make custom peripherals like this viable and thus they have returned in greater numbers than ever before. The big issue I see with things like this is that once a good idea comes along it’s guaranteed that there will be a lot of copy cat ideas that come out not too long after. In the absence of any interface standards governing their interactions with the consoles this inevitably turns into an arms race of who can win the most support from developers, most often ending in a duopoly of two competing standards that will likely never completely agree with one another. Whilst I’m all for competition in the consumer space I’m also for an open set of standards so that I’m not forced to choose between two functionally equivalent products based on who or what they support. Which is why Sony’s announcement today of Project Morpheus, their virtual reality headset, is slightly troubling to me. Since it’s still in the prototype phase details are pretty scant on what its specifications will be but it’s apparently rocking a 1080p display (I’m guessing there’s 2 of them in there) and can apparently do full 360 degree tracking. Predictably the motion tracking relies on the PlayStation Eye accessory indicating that it’s probably got most of the same technology in it that the DualShock4/PlayStation Move controllers do. There doesn’t appear to be any headphones built into it but if it’s got all the same core bits and pieces as a regular PlayStation controller than I’m sure there’ll be a headphone port on it. Essentially it looks like the Oculus Rift did way back when it first debuted on Kickstarter, albeit far more reliant on Sony technology than their product will ever be. Therein lies the crux of the issue with peripherals of this nature. Sure they add functionality and experiences that would be otherwise impossible to accomplish on the platform by their own but when they’re built like Sony’s, reliant on a whole bunch of things that are only available on that platform, I almost immediately lose interest. As someone who plays across multiple platforms in the space of a year the last thing I want to do is flood my living room with all sorts of one shot peripherals that have no use outside a couple narrow scenarios. Instead I’d prefer one that works across a multitude, something which is technically possible (I won’t tell you how much research I did into finding a cross platform compatible arcade stick for the fighting games I play) but rarely occurs in the wild. What I’m really getting at here is that whilst I’m super excited for these kinds of virtual reality devices to become commonplace I also want a set of open standards so that when you buy one you’ll be able to use it pretty much everywhere. Oculus Rift has a big head start on everyone in this regard so I really hope that they’ve seen this problem on the horizon and are working towards a solution for it. With something like that in place companies could then focus on making the better headsets rather than trying to coax everyone into their ecosystem. It’s probably a pipe dream, I know, but it would be to the benefit of everyone if it happened.